Our body is like a machine. It is the brain that controls the activities of our body. It is a complex and most dynamic feature of our system. All innovative ideas come from the brain. We use a very small percentage of our brain for this. So, it is important that we keep our brain efficient, alert and running. This can directly influence the well being of our whole body. Just like we take care of any other part of our body, we should take proper care of our brain too. If our brain remains inactive, the neurological passages in our brain start to deteriorate. Moreover, as one age, his/her brain becomes more prone to degenerative diseases like Parkinson’s diseases, dementia and Alzheimer’s. 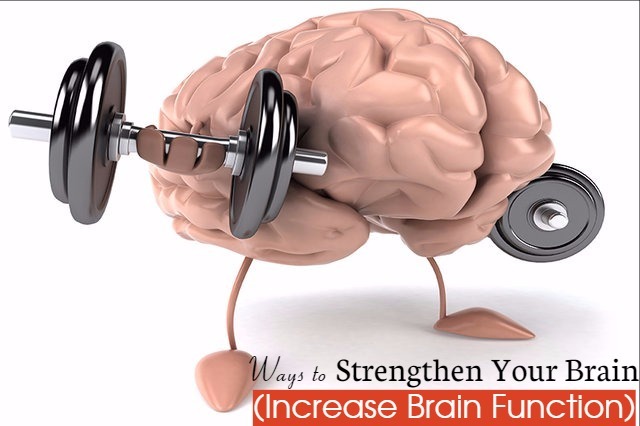 Given below are given some tips that will help you take good care of your brain and make proper use of it. Sleep is very important for the body and the brain. It is a natural tranquiliser and helps in refreshing our mind and body. A good sleep helps in flushing out the toxins produced in the brain and the body during the day time. It is also beneficial for repairing the wear and tear caused. Whatever experiences and knowledge that we have gained in the day are reinforced during the night when we are sleeping. As a result, you will be able to achieve better memory retention. It is the quality sleep that is more important than the hours we spend on the bed. Another thing to keep in mind is to avoid using any kinds of gadgets before you sleep. They have electromagnetic fields that can interfere with your sleep. They can stimulate your brain to remain active. If it is not possible for you to get 7 to 8 hours of sleep, even power naps can be useful. Join a book club. This is an excellent way to broaden your perceptions and experiences. You can participate and interact, which cannot be possible if you read a book alone. Such participation makes the experience of reading more alive and evolved. It triggers the activity of the brain faculties related to the region of the hippocampus. This is the region involved in the functions of analysis, retention and memory. According to research made, consuming alcohol more than the permissible limit is bad for your body and brain. It can make your body deficient in thiamine, which is essential for the brain activity. Moderate amounts of red wine or alcohol is said to be good for your health. But when you consume it in excess, you may suffer from speech problems and behavioural issues. Diminished memory, faulty movements and incoherence, and emotional outbursts are the results of consuming alcohol in excess. Eating right is also very important. It keeps your body and mind healthy. It can affect your body and brain functions. Nowadays people are after fast foods. Sweets and unmindful snacking have become a part of the modern society. But these are not good for your health. Make sure that you consume foods rich in omega-3 fatty acids. Fish like sardines, river trout, tuna and salmon, seeds and nuts like walnut, sunflower seeds, pumpkin seeds, flax seeds etc are rich in omega-3 fatty acids. Vitamin E and Vitamin C also help in promoting brain functions. They are antioxidants and help body to fight against the toxic free radicals. As a result, your body will be able to absorb more oxygen. Folic acid is good for reducing the risks of neurologically degenerative diseases. One way to keep your mind active is to take up new hobbies that you find interesting. This way you can prevent your mind from stagnating. By being engaged in something new, your brain will also get stimulated. It can trigger the dormancy neural pathways and encourage brain activity. You can choose any hobby you prefer. It can be music, designing, learning a new language, art, adventure, dance, gardening, reading and so on. In today’s fast life, our mind can be over stimulated and even get cluttered. Any form of relaxation is important. It can be yoga and meditation. This can rejuvenate the mind as well as the body. It is said that when you are in a state of relaxation, the creativity of the brain increases. You become more focused when you are in a relaxed state. Mental health and physical health are greatly related. Any physical activity requires the application of motor skill. It also develops hand and eye coordination. As you know, it is the brain that controls the movements of our body. So, by performing exercise regularly you can stimulate the brain and make it active. It helps in keeping our mind agile and prevents premature aging of the brain. Social interactions are said to be very healthy for the brain. So, try to interact with as many people as you can. This way you can exchanges more news, ideas, information and experiences. This encourages you to be more engaged in the society and people. You can make new friends, take up something new, set new goals and be happy. It helps in boosting your self confidence and memory, and keeps your brain busy. You can join social clubs, hobby classes, prayer groups and so n. These are apt places for making new friends. Try to challenge yourself to take up things that stimulate your mind, even if it is for only 15 minutes or half an hour. You can try cross-words, puzzles, yoga, dance, sculpture or anything else that you enjoy. Remember to choose an activity that is not very easy to complete because then your brain will not get stimulated enough. If you are already doing such activities, try the advanced versions. By doing something that matches your interests, your brain will get positive signals. Kids can be encouraged to play with clays, sand, messy games and so on. These can encourage hand-brain interaction. So, make sure that your keep your brain always active. Try new things and set new goals, and stay motivated. Spend some happy moments with family and friends, appreciate the beauty of nature and take care of your own health. This will promote overall well being and the brain longevity.